October means changing leaves, pumpkin-spice everything, Halloween, and the start of the holiday season. Looking for some Halloween contest ideas? Never fear! We found four scary good campaigns from ShortStack users for collecting leads and engaging fans. Plus, we’re featuring four email marketing ideas to help you put those leads to work. Want to showcase a bunch of resources, contests, etc in one place? A landing page is the perfect solution. 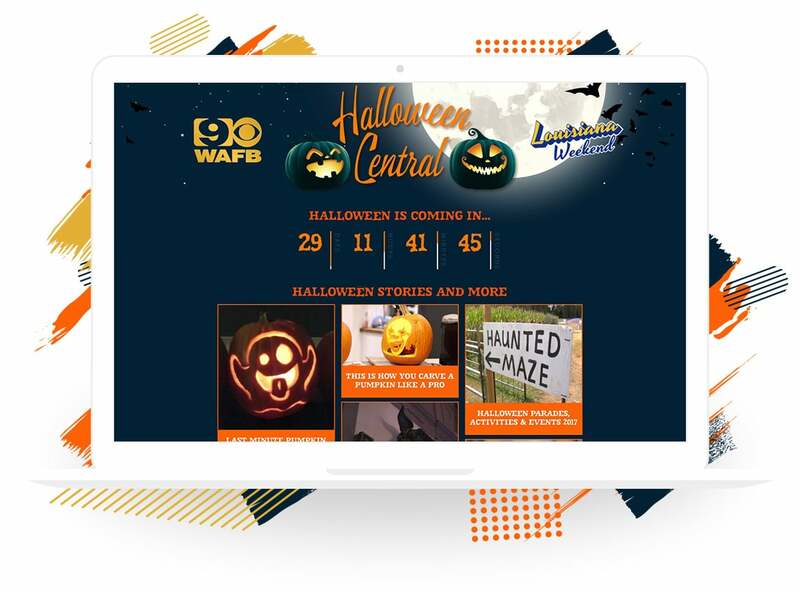 WAFB created a Halloween Central landing page that features a countdown to Halloween, a collection of Halloween-related stories and resources, and an awesome gallery where folks can submit photos of their little ones in their Halloween costumes. WAFB’s landing page helps them to engage with their fans, encourages repeat visits and collects leads for future email marketing efforts. IDEA: Give folks who submit photos a chance to be featured either on your website or in a prime position on your campaign. This can encourage repeat visits from people who want to see each day’s featured submission. Email marketing suggestion: Include a form on your campaign, and encourage folks to sign up for daily Halloween tips and community updates throughout the month of October. Goodbye triangle eyes and nose; intricate Halloween pumpkin carving is all the rage. 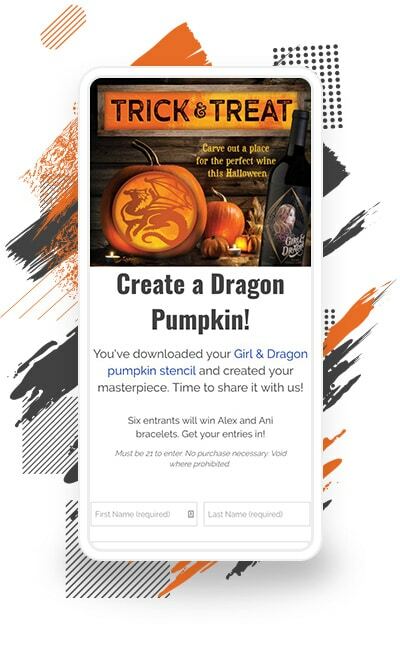 Girl & Dragon Wine created a campaign that encourages folks to use the Girl & Dragon pumpkin-carving template to create their own Halloween masterpiece. Once finished, people who used the template can submit a photo of their pumpkin for a chance to win one of six Alex and Ani bracelets. This stencil campaign is a fun way to spread the word about their wine! IDEA: Ask folks to submit photos that include both their pumpkin and your product. For example, for the above campaign, people would submit photos of their pumpkin where you can also see them sipping on Girl & Dragon wine. Email marketing suggestion: After entry, send entrants an autoresponder with a discount on your product. Be sure to include a link to their entry in the email, so they can show off their pumpkin-carving skills. Halloween is a DIYer’s dream holiday. Oriental Trading Company collected 14 DIY Halloween costume ideas from Fun Squad collaborators. Campaign visitors are asked to vote for their favorite costume. Voters are entered into a weekly drawing for a $50 Oriental Trading Company gift card, while the winning costume gets $500 donated to the charity of their choice. I love that this campaign shows off individuals’ creatives sides, while giving the winners a chance to give to a cause they support. Email marketing suggestion: Use the scheduled email option to send voters creative DIY project ideas for the holidays. Include links to the products on your website that will help them complete these projects. If you want a simple way to collect leads, giveaways are a good way to go. 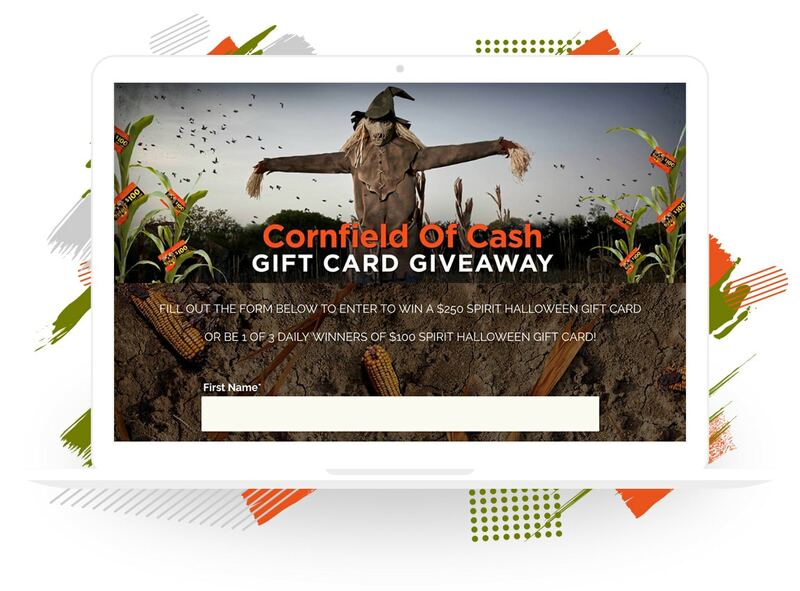 With their Cornfields of Cash giveaway, Spirit Halloween Superstores entrants submit their names and emails in exchange for a chance to win gift cards to the store. This is a smart way for Spirit Halloween Superstores to collect leads, because the people submitting entries want to shop in the store which makes them valuable leads. Email marketing suggestion: After the contest has ended, send entrants an email featuring your new products and maybe even a small discount on purchases. 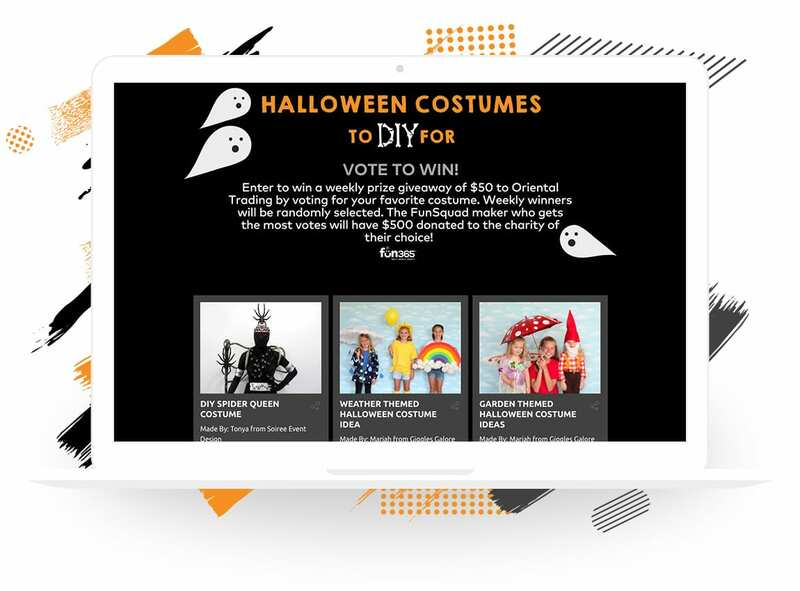 Still not sure what to do for your Halloween campaign? Check out our blog for more Halloween-inspired campaigns. Try making a free contest or promotion to gather leads from your social media.